Dreams of a roof over my head and where shall I place my bed..? This is in Peckham where the view is astral, the air plentiful. The Rye Poets did a performance celebrating mothers on Mother’s Day at the Mum Before Me exhibition held at Jeannie Avent Gallery in East Dulwich. What you can’t see is the audience. Plentiful and so supportive. How classy! 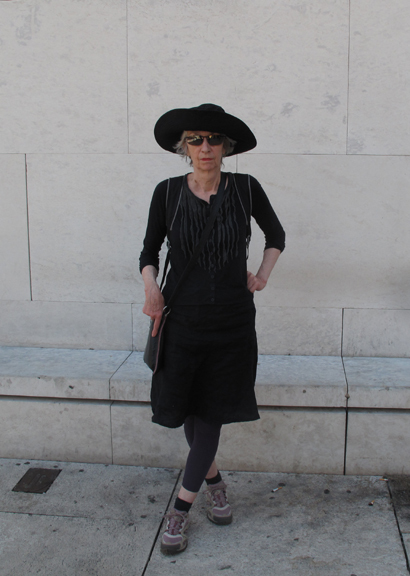 This is my neighbour waiting for her bus into town. This is why we live in Peckham. So very stylish and individual. I’m the Featured Poet at the Poetry Shed. No need for boots and you don’t have to go out in the wet and cold, just click below for pots of poems. The lifestyle photographer wants to photograph pebbles arranged on a table; the landscape photographer is drawn to pebbles on a beach; I want to snap someone throwing the pebbles. 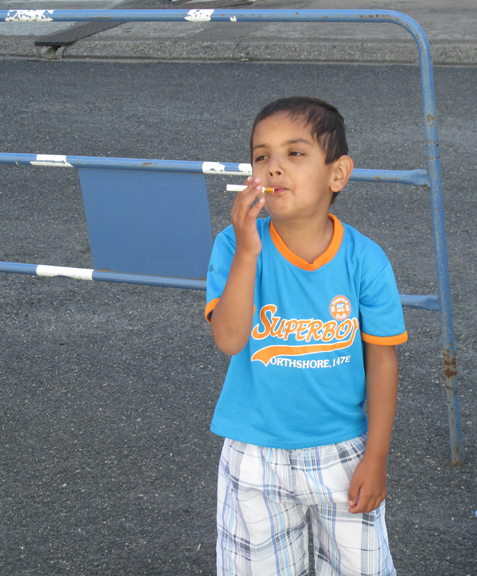 In that spirit I took this photo in France of a kid practising the art of smoking. 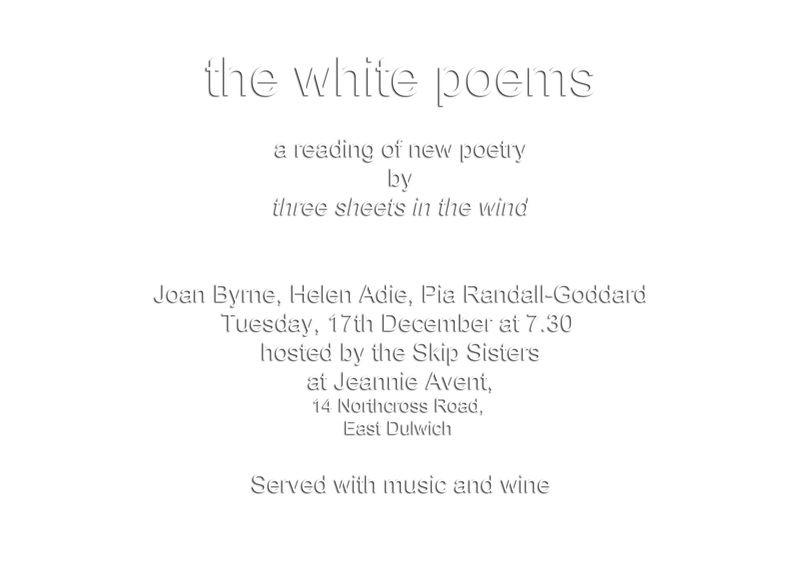 The White Poems is a hand-made limited edition book of poems written by Helen Adie, Pia Goddard and me. We’ve been three corners of a writers’ circle for several years and this is our third book. Last night we launched it at a local gallery, Jeannie Avent in East Dulwich. Live music topped and tailed the poetry reading, glasses fizzed and people even bought the book.